Mr. Samuel T. Morison has practiced law for more than 20 years and is a nationally recognized expert on federal executive clemency and the restoration of civil rights. He is a member of the North Carolina and District of Columbia bars and is admitted to practice before several federal district and appellate courts. He graduated with honors from the University of North Carolina School of Law, and then served as a law clerk for Judge William Osteen, Sr. on the United States District Court for the Middle District of North Carolina. After clerking, he practiced law for five years with two leading law firms in Washington, D.C., where he handled a range of litigation matters in several substantive areas, including labor and employment, intellectual property, and white collar crime. Mr. Morison then served for 13 years a staff attorney in the Office of the Pardon Attorney, which is the agency within the U.S. Department of Justice that is responsible for assisting the President in the exercise of the pardon power. In this position, he was responsible for reviewing literally hundreds of clemency applications for all forms of executive clemency, including pardon after completion of sentence, commutation (reduction) of sentence, and remission of fine; supervising the necessary background investigations conducted by the Federal Bureau of Investigation to determine whether an applicant was a suitable candidate for executive clemency; and preparing the Pardon Attorney’s recommendation to the President regarding the disposition of individual cases. Prior to attending law school, Mr. Morison received a Bachelor of Arts in interdisciplinary studies from George Mason University, and more recently completed a Master of Arts in philosophy and social policy from American University. 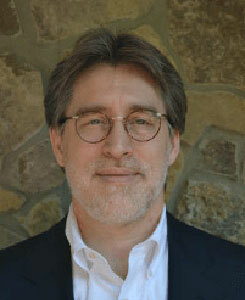 He has published widely in leading academic journals on a variety of topics, including the history and theory of executive clemency, the philosophy of law, and the international law of armed conflict, and regularly reviews books on criminal justice policy. He is also quoted frequently in the national press on the federal clemency process. Based on his experience, Mr. Morison is intimately familiar with all phases of the clemency advisory process implemented by the Office of the Pardon Attorney. While no one can guarantee that you will actually receive a pardon from the President, Mr. Morison is uniquely qualified to give you a realistic evaluation of your case. If you choose to apply for a pardon, he can help you prepare an application package that will give you the best possible chance of obtaining a favorable outcome.